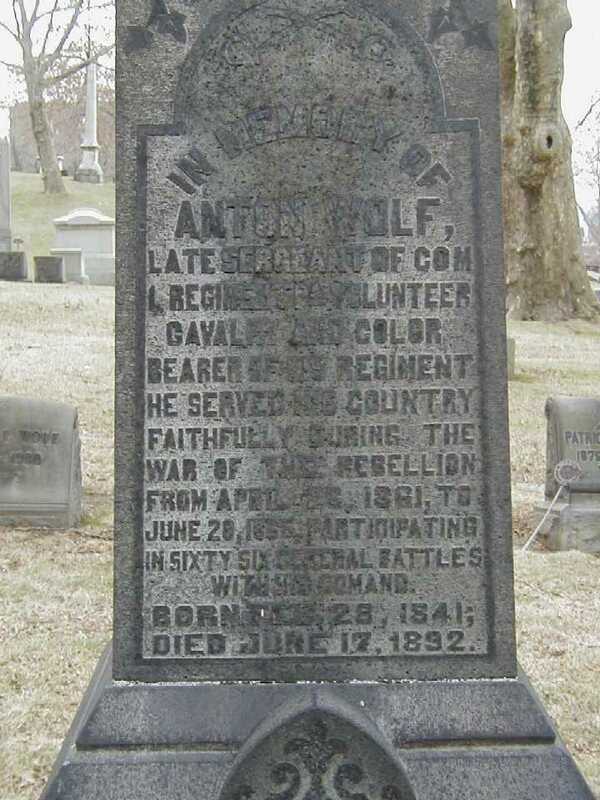 "IN MEMORY OF ANTON WOLF, LATE SERGEANT OF COM. 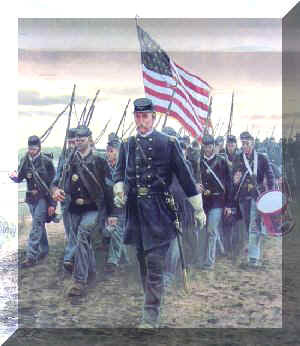 1 REGIMENT PA VOLUNTEER CAVALRY AND COLOR BEARER OF HIS REGIMENT. 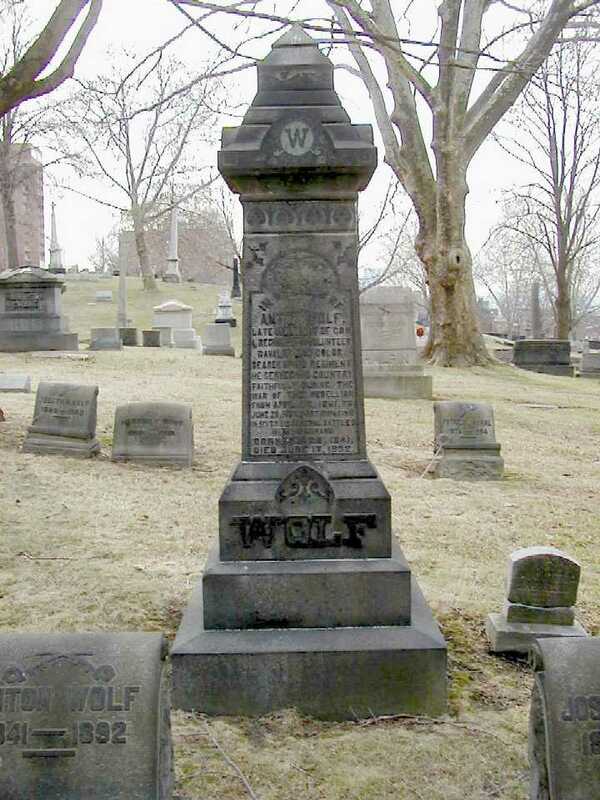 HE SERVED HIS COUNTRY FAITHFULLY DURING THE WAR OF THE REBELLION FROM APRIL 26, 1861, TO JUNE 20, 1865, PARTICIPATING IN SIXTY-SIX GENERAL BATTLES WITH HIS COMMAND."